Though being so popular it's impossible to keep up with the demand would normally be viewed as a good problem to have, it's causing a bit of a burden for HTC. There's so much interest in the company's new flagship phone, the HTC One, the Taiwanese manufacturer can't quite keep its supply chains up and running. 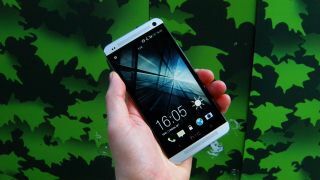 The HTC One had a delayed launch to allow for more of the smartphones to be pushed off the assembly lines, which cost the phone maker quite a bit of money, and led to a release closer to the rival Samsung Galaxy S4. Coupled with the bad break HTC caught with its Facebook phone, the HTC First, which is fending off rumors of discontinuation, it's no wonder the company will be doubling down on its efforts to produce as many HTC Ones as possible in the coming months. According to a new report from Focus Taiwan, the month-to-month production of the HTC One is increasing sharply to accommodate surging demand. HTC will not only bump up manufacturing in May two-fold from April's numbers, but will also jack up the number of smartphones being created in June as well. "Our capacity is expected to rise significantly starting from mid-May," Jack Tong, president of HTC North Asia, said in the report. "We are optimistic about our high-end sales during April and June." While the initial delay was caused by a shortage in the custom camera components created for the HTC One, it now appears HTC will stop at nothing to make sure enough of the phones are made available to wanting customers. The stellar device is one of the few to garner a five-star rating from our reviewers, so it's little wonder the 4.7-inch Android BoomSound beast is desired by so many consumers. Still, the wait means more potential buyers could be swayed into purchasing the Galaxy S4, or even the iPhone 5, rather than waiting for more of the device we called "the best phone on the market." With Google's Galaxy S4 heading to market soon, the One will face even further competition.